Passionate, loving, loyal, kind. Those Hopkins people whose lives were cut tragically short on September 11 were all that and more--much, much more. Ronald James Vauk died in the defense of his country. He didn't even know it was at war. On September 11, Vauk, a supervisor in Hopkins's Applied Physics Laboratory, was on his annual two-week Reserve duty in the Navy Command Center at the Pentagon. He was the watch commander, passing along information about the two jets that had crashed into the World Trade Center. After American Airlines Flight 77 hit the Pentagon, Vauk, a lieutenant commander in the U.S. Naval Reserve, was at first listed as missing and later confirmed dead. He was 37 years old. "Devoted to the service of his country"
Ronald James Vauk, a supervisor at Applied Physics Laboratory A 1987 graduate of the U.S. Naval Academy, Vauk served six years on active duty as a submarine officer. He had been in the Naval Reserve since 1993. This year, his Reserve duty was scheduled for November. But he pushed it up to mid-September because his wife, Jennifer, is due to give birth to their second child around Thanksgiving. Their son, Liam, is 3. On a late September Saturday at Arlington National Cemetery, Jennifer accepted a Purple Heart awarded posthumously to her husband. "The thing that makes it most tragic is that Ron was very devoted to the service of his country," says his supervisor at APL, Art Turriff. "He took great care to find a job he thought was very important in the Reserves, not just some weekend task. He wanted to do something extremely worthwhile." Vauk also tackled important defense projects while working for APL, where he was an assistant group supervisor in the Submarine Technology Department. After joining Hopkins's APL in 1997, he helped expand staffing and served on a number of projects, including the Joint Biological Early Warning System, a proposed network of biological agent sensors. Outside of work, he found time to earn a master's in technology management from the University of Maryland in 1999. Vauk rarely got mired in unimportant details. He was playfully antagonistic, sometimes razzing people to get a rise out of them. He would not accept pat answers. "There won't be a replacement for Ron Vauk," Turriff says. Family was first and foremost, says his brother-in-law, Chris DeBoy, of APL's Space Department: "Ron had to write a bio when he was getting a Navy fitness check and write his personal goals at the bottom. He put: Being the best father and husband he could be." As a watch commander at the Navy Command Center, Vauk was at the nexus of the Navy's operations, in the event of a crisis. At a joint Navy-APL ceremony on September 28 at the Lab, several hundred colleagues from both institutions paid tribute to the man. Captain "Sonny" Masso, past commanding officer of NR Navy Command Center Detachment 106, was among those who spoke. Said Masso: "Ron will live forever in our hearts and will never be forgotten by his shipmates." APL director Rich Roca spoke as well: "We consider it an honor that he chose us as the people with whom he wished to make his mark." During the hourlong ceremony, Vauk was posthumously awarded the Meritorious Service Medal and a Presidential Memorial Certificate. Son Liam was presented with a small, polished wooden box in which to keep his father's medals. Vauk is also survived by his parents, Hubert "Cubby" and Dorothy Vauk; four brothers, Charles, David, Gary, and Dennis Vauk; four sisters, Teri Masterson, Celia Shikuma, Lynne Caba, and Pat Vauk; his in-laws, Pat and Carol Mooney; and other beloved family members, including numerous nieces and nephews. Donations may be made to the Ronald James Vauk Memorial Fund through First Mariner Bank at 1801 S. Clinton St., Baltimore, MD 21224. 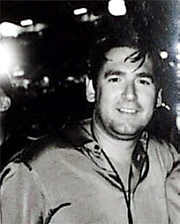 Glen J. Wall '84 Friends and family of Glen J. Wall '84 and Matthew O'Mahony '84 may derive some solace from knowing that the two men perished together. For in life they were inseparable friends who played basketball together at Hopkins, worked together in Manhattan, traveled together, and lived intermingled lives. They had done well in the bond business, which permitted annual fishing trips to Alaska and excursions to Paris with other friends from Hopkins. Both bond traders were among the hundreds of Cantor Fitzgerald employees who were lost on September 11 in the attacks on the World Trade Center. O'Mahony was 39 years old; Wall was 38. Both had majored in political economy at Hopkins and played guard on the varsity basketball team. Friends describe O'Mahony as a garrulous storyteller who made friends with seemingly everybody. His wife, Lauren Murphy O'Mahony, recalls, "He was a huge lover of life, a huge bon vivant. He'd talk to anybody, and he really got to know a lot of people. In New York, everybody who knew him called him the most famous non-celebrity in Manhattan." 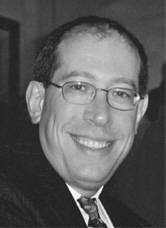 Andy Schoenfeld '84 roomed with Wall and O'Mahony for two years at Hopkins, and was in daily touch with them after all three began working in bond trading in Manhattan: "Matt was equally comfortable sharing a drink with the bum who begs in front of Elaine's as he was singing songs at the piano with [former U.S. Senator] Al D'Amato, both of which he did many times. Strangely enough, in conversations recently Matt had told us that if he died young we shouldn't be sad, because he lived a happier, better, and fuller life than he could ever have imagined." Matthew O'Mahony '84 Lauren had celebrated her first wedding anniversary with Matt two days before the attack. She recalls, "He packed more in one day, to make sure he saw everything and met as many people as he could. He was just a really good person. He brought a lot of life to a lot of people." In the early 1990s, Wall and O'Mahony were partners in an Upper East Side sports bar named The Polo Grounds, at 83rd Street and Third Avenue. Wall was the quieter of the two. "Well, almost anyone was quieter than Matt," says Adam Levy, who was the third partner in the bar. Wall's friends describe him as a magnet for people, and extraordinarily loyal. Recalls Levy, "We remained close, talk-every-day friends for the rest of our lives." "Glen was always a guy people wanted on their team," Schoenfeld recalls. "If you were going to a function or a party with Glen, you had to prepare to leave the second you arrived, because it would take hours. He had to say goodbye to every single person. You'd plan to leave at 10:30 and you wouldn't leave until midnight. Whenever I went out with Glen I would wake up the next morning wondering why I had a hangover when I'd only had two glasses of wine. I finally realized that it was because he never let my glass get even half empty." Says Adam Levy, "It's just a devastating loss, because these were two of the brightest lights I'd ever met." 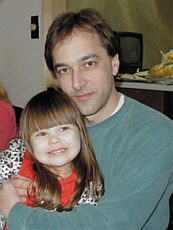 Glen Wall is survived by his wife, Diane, and their two daughters, Payton, 4, and Avery, 3. He also leaves behind siblings Diane, Lynn, Gary, Kevin, and Brian. Donations in his memory may be made to the Payton & Avery Fund, care of Christopher Kearon, Prudential Suites, 940 Haverford Road, 2nd Floor, Bryn Mawr, PA 19010. Matt O'Mahony is survived by his wife, Lauren, siblings Karen, John, Robert, and Steven, and his mother Helen O'Mahony Bradley. Donations in his memory may be made to the Matthew O'Mahony Memorial Garden Fund, care of Sue Medoff, Sunnyview, 140 Archbridge Road, Ghent, NY 12075. John Sammartino, MS '90 When colleagues walked into John Sammartino's office in Rosslyn, Virginia, the first thing they noticed was his sense of openness. With a slight turn of his head, Sammartino would smile a welcome to the inevitable interruption, "John, do you have a minute?" Sammartino, who earned his master's degree in electrical engineering through Hopkins's Part-time Programs in Engineering and Applied Science, was working as an engineer at XonTech Inc., a research and development firm involved in defense issues. With a colleague from his office, he boarded American Airlines Flight 77 at Dulles, which was later hijacked and flown into the Pentagon. He was 37 years old. A good listener and a gentleman, a patient teacher and a doting father, he readied his 4-year-old daughter, Nicole, for daycare in the morning and gave her baths and read her stories at bedtime. His daughter now keeps two photos of him on her bed. "He was just kind and warm and made people feel comfortable almost immediately," says his wife, Debbie Rooney. "He could sit down and talk to anybody from any background. He was a compassionate, dedicated father and husband. Just a really wonderful person." Born in New York City, he came to Washington in the 1980s. He earned a bachelor's degree from George Washington University in electrical engineering, and was hired out of college into the tactical electronic warfare division of the Naval Research Lab, where he met his future wife on a company softball team. The Sammartino family lived in Annandale, where John, a woodworker with a penchant for making bookcases and cabinets, had been expanding their kitchen. Over the Labor Day weekend, family members had gathered for him to show off the cabinets he had carved and hung with the help of his 83-year-old father, Frank. His co-workers, in mourning, penned a series of remembrances in electronic files. Wrote Jim McWilliams, senior engineer: "There was nothing competitive about John in the workplace; not only was he pleased to see his fellow employees excel ... he continued to help them along the way." Added Bob D'Alessandro, program manager: "He could tackle any task, dig into the details, figure things out and make them work. John was a stickler for doing things right." And Jack McCalman remembered: "On Monday, September 10th, as John was signing out on our sign-out board, he said to me, 'Jack, I'll see you on Friday.' The Friday has come and gone and so has John. Boy, do I miss him." "In awe of his new son"
Paul J. Friedman '78 Management consultant Paul J. Friedman '78 spent much of his life trying to understand what drives consumers. On the last full day of his life, his efforts to divine desire fell closer to home: Would baby son Rocky prefer a trip to Starbucks or a walk in the park? Rocky liked Starbucks. 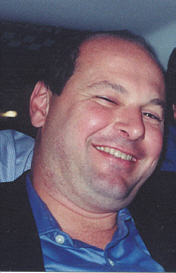 The next day, Friedman, of Belmont, Massachusetts, died aboard American Airlines Flight 11 when it hit the World Trade Center. He was 45, and on a business trip to Warner Brothers in Los Angeles. He leaves behind family and friends who will miss his dry sense of humor, his brilliance, and his warmth. "One of my colleagues described Paul as a computer who wore tennis shoes. Paul had a very innate ability to be human and process these very detailed types of information," recalls Mark Friedman, a longtime friend who was his supervisor at Emergence Consulting of Lincoln, Massachusetts. 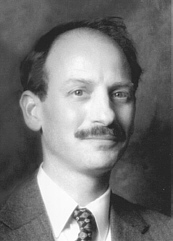 Paul Friedman earned his bachelor's in psychology from Hopkins, then went to work for Bell Labs in Whippany, New Jersey, and earned a master's degree in engineering at the University of Michigan and an MBA from New York University. He also had worked for American Management Systems, Cap Gemini Ernst & Young, and Fleet Bank, in part helping companies create databases for their customers' spending habits and service needs. He tempered such highly demanding data crunching by taking artistic photographs of buildings and collecting tacky snow domes and antique Avon bottles shaped like cats and dogs. Friedman was at a turning point in his life. "He flew on Tuesday because he wanted to have a three-day weekend with his family," says his sister Amy Radin. "He was trying to balance his life. He spent the last day, on Monday, playing with the baby." Paul and his wife of 10 years, Audrey Ades, adopted their son from Korea last May. They gave him a formidable name: Richard Harry Hyun-sou Friedman. Friedman wanted his boy to be known as Rocky. Paul Friedman was in awe of his new son. A few weeks before he died, he gave his sister Meryl, who is pregnant with her first child, a dissertation on the proper way to change a diaper. Says Mark Friedman, "He really felt that Rocky knew who he was." The baby's simple touch could bring "tears to Paul's eyes. It was really the first thing where no logic could get into the equation. It was a baby." Paul Friedman is also survived by his mother, Selma Friedman; his siblings and their spouses, Iris and Alan Pollack, Amy and Mitchell Radin, James and Krista Friedman, and Meryl Friedman and David Price; and his beloved nieces and nephews, Jared, Molly, Hal, Jonah, and Allison. Family members are setting up a charitable fund to provide support for Friedman's favorite causes, which include foreign adoptions, the environment, and the arts. The family also is considering creating a physical tribute to visit, perhaps a piece of playground equipment with a plaque. Donations may be sent to the Paul J. Friedman Charitable Foundation Inc., James S. Friedman, Esq., P.O. Box 1, Livingston NJ 07039. David W. Nelson '73 David W. Nelson had survived attacks before. After graduating from Hopkins in 1973 with a bachelor's degree in behavioral sciences, he went to work for Baltimore's social services department. During his yearlong stint, he was shot in both legs in a random act of violence. He recovered from those wounds. On September 11, the father of two worked as a senior vice president for Carr Futures, a global institutional brokerage firm with offices on the 92nd floor of the World Trade Center's north tower. Due at a meeting in uptown Manhattan, he never made it. He was 50. His sister Barbara Goldman, a counselor at an elementary school near Ballwin, Missouri, heard the news from their father, Warren Nelson. "I've worked through grief with people as a counselor," Goldman told the St. Louis Post-Dispatch soon after the attacks. "But I've never understood what it means to lose a brother. Especially a brother so kind as David." David Nelson's first love was music. When he inherited his parents' station wagon to drive from St. Louis to Baltimore around 1970, among the belongings stuffed in the back was his beloved French horn. He would later play for the St. Louis Philharmonic Orchestra and the symphony in Evansville, Indiana. He briefly studied music at the New England Conservatory of Music in Boston. 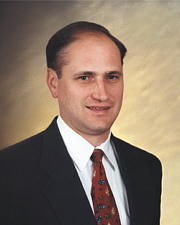 In 1980, David Nelson went to work for his father's company, Clayton Brokerage, in St. Louis. "It was a complete change of life for him. From music and social services to going to work for a brokerage company," says his father. "What he found out was that the demand for French horn players is far smaller than the supply." While working for Clayton, David Nelson caught the eye of Dean Witter, and landed a job in that firm's offices in New York (the company later became Morgan Stanley Dean Witter, and the commodity division was sold off as Carr Futures). His New York job took him far from the neighborhoods of St. Louis and Baltimore--to Paris, London, Zurich, and into Saudi Arabia, Kuwait, and other Middle Eastern nations. "He had customers in the Middle East who have called to say what a great person he was and to say that this [the terrorism] isn't Islam," Warren Nelson says. Adds David's mother, Betty: "Someone wrote that there aren't many men in this world you can trust, but he was one of them. What was special about David, I think, is that he was sensitive to other people's feelings." David Nelson lived in Brooklyn with his wife, Elizabeth Crawford, a New York artist who specializes in meditative still life oil paintings. In the weeks before her big art gallery opening, on September 7, Nelson took their two children, Frederick, 4, and Ingrid, 8, to a ranch in Oregon to give his wife a chance to ready her show. She hosted the opening at the Jack Shainman Gallery in Manhattan without a hitch. A day later, the couple celebrated their 17th wedding anniversary. David Nelson is also survived by his brother, Robert Nelson, and sister Marcia Wilson. Memorial donations are being handled by the Carr Futures World Trade Center Memorial Fund, account number 1893629, The Northern Trust Company, Attn. Robin D. Levin, B-2, 50 South LaSalle St., Chicago, IL 60675. The company's Web site is www.carrfutures.com. Thomas Cahill '86 Together, the brothers Cahill rode the school bus, joined a fraternity at Hopkins, started successful careers, and moved within blocks of each other in their New Jersey hometown. Together, they spent weekends fishing on a boat named for their grandfather, reveling in the strong bonds of family. Jim Cahill '85, older by just 17 months, could not have imagined he would deliver his beloved brother Tom's eulogy, but in a September 22 memorial service in Franklin Lakes, New Jersey, he did his best. Recalling the words Sen. Edward M. Kennedy used to remember his brother Bobby, Cahill told the more than 800 friends and family who gathered that his younger brother "loved life completely and lived it intensely." 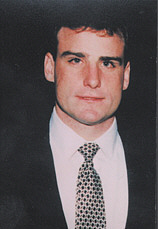 Tom Cahill '86 worked as a bond broker at Cantor Fitzgerald, in New York's World Trade Center. He had followed in what his brother calls the "family business," immersing himself in finance as his grandfather and father had before him. That Tuesday morning, Tom was excited about a new position with another firm in the city; he was set to start work there Thursday. On Friday, September 14, he would have celebrated his 37th birthday. But the close-knit Cahill family is not dwelling on "what-ifs." Their remembrances are of a handsome young man who loved to play, worked hard, and knew how to be a true friend. "My brother gave his friendship totally, 100 percent," says Jim Cahill. "He was very loyal. If you had his friendship, you had a lot." "He just made friends with everybody," says sister Kathy Psirogianes, who lived around the corner from Tom. "There was this homeless guy in New York City, and Tom used to take care of him like he would take care of me. He took this guy to Barneys to buy him shoes. He treated people the way they should be treated. He was very humble--he loved his friends and having fun, but he had a more spiritual side." At Hopkins, Tom Cahill considered a premed track like his older brother--Jim Cahill is now an orthopedic surgeon at Hackensack University Medical Center--but ended up studying economics. The brothers were in Tau Epsilon Phi fraternity together, and Jim remembers his brother's easy grace, describing him as a "very gifted tennis player" who made the varsity team. After college, Tom followed his father's path to Wall Street--the senior James Cahill was a bond salesman. Tom skied with friends in Utah, went golfing in Ireland, and fished with his brother and other pals on the Bucky C, named for grandfather William Cahill. His sister remembers how much he loved his young nieces and nephews, always ready to splash around in his pool with them or give them rides on his back. "Tommy hadn't found the right girl, but he would have made a great father." In keeping with Tom's love of children, contributions can be made to the Don Imus-WFAN Pediatric Center for Tomorrow's Children, a foundation for children with cancer at Hackensack University Medical Center, 30 Prospect Ave., Hackensack, NJ 07601. Tom Cahill is survived by siblings Jim Cahill, Kathy Psirogianes, Kerry Kerin, and Chris Cahill; parents James Cahill and Kathleen Cahill; and four nieces and nephews. Like so many others, the family of Sneha Philip '91 is dealing with the loss of a loved one. But Philip has been missing from lower Manhattan since Monday, September 10, the day before the terrorist attacks, making her disappearance a terrible mystery with few clues. Philip, a resident in internal medicine at St. Vincent's, Staten Island, had a precious day off that Monday. A security camera captured her leaving her Battery Park City apartment at 5:15 p.m. She purchased some items at a store near the World Trade Center about 7:30; a saleswoman recalls Sneha shopping with a woman no one has been able to identify. "She never came back to the house," said her husband, Ron Lieberman, an emergency room resident at Jacobi Medical Center. "We're still searching [for] clues to find out where she was that night." Lieberman and Sneha's family have appeared on talk and news shows, hoping someone will come forward with information. The family has posted fliers around the city and put up a Web site, www.imagilab.com/sneha. Suzy Bagga '91, matron of honor in Philip's May 2000 wedding and a close friend and Phi Mu sorority sister, talked about her friend's days at Hopkins. A Writing Seminars major, "Sneha was interested in literature and poetry, but she finished the background for going to medical school. She was definitely the smartest person I knew at Hopkins."